Think Saratoga rolls up the sidewalks in the winter? Think again! Here's 15 insider tips for having a fabulous winter vacation in Saratoga, whether you have a week or a weekend. From activities to enjoy outdoors and in, to popular annual events, you'll be endlessly entertained in the Saratoga area this season. Looking for cold weather fun outdoors? You got it! See our top picks for winter activities in Saratoga below, and then check out indoor fun. Have you ever been to an ice bar? Saratoga is in on this super cool trend! These are often much more than just a cool establishment to rest your drink on. 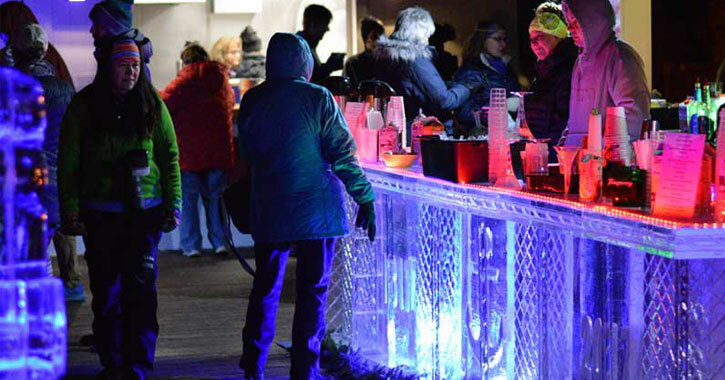 In addition to the physical bar, there are typically great hot and cold drink specials, exquisite ice sculptures (perfect for photo ops), and live music to enjoy. Don't think you need to find a huge mountain to go skiing. Saratoga has some great cross-country skiing trails, including 12 miles of trails right in Saratoga Spa State Park, and these can be used for snowshoeing as well. 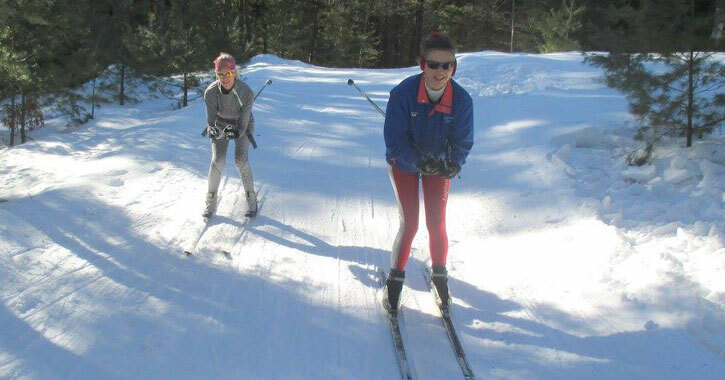 Cross-country skiing and snowshoeing are family-friendly activities that also happen to be great exercise. Whether you're looking to take the kids out for some snowy fun or you're itching to recapture that rush you get when you fly down a hill, Saratoga has the sledding spots for you. 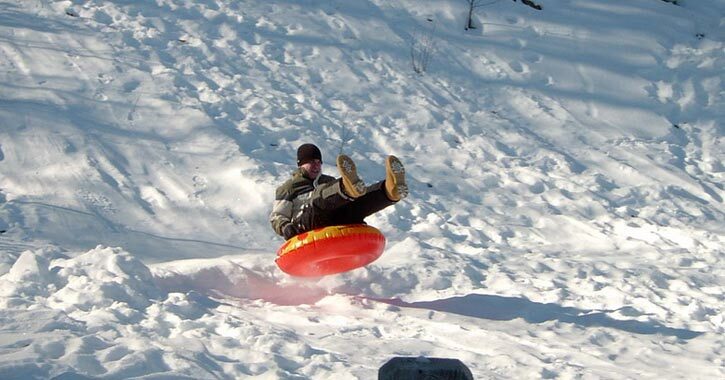 Check out where to go sledding in the Saratoga area and then grab your sled, saucer, tube, or toboggan and head for the hills! If snowmobiling is your go-to winter activity, no need to travel all the way up to the Adirondacks or elsewhere to find good trails. There are excellent snowmobile trails right in Saratoga County, and in surrounding counties as well. 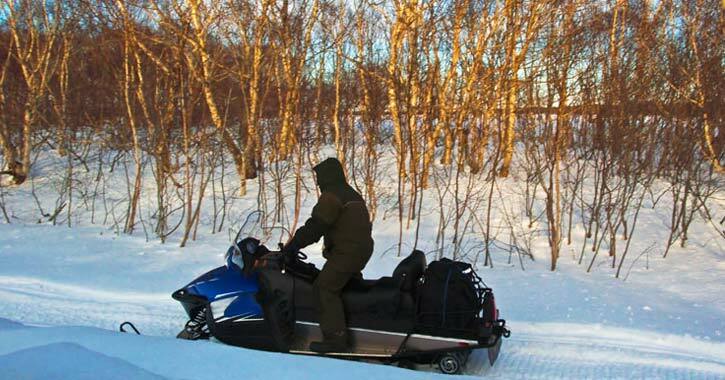 Check out the info on trails and reach out to snowmobile clubs to determine current conditions. Ice skating is such a classic winter pastime that can be enjoyed by adults and kids alike. 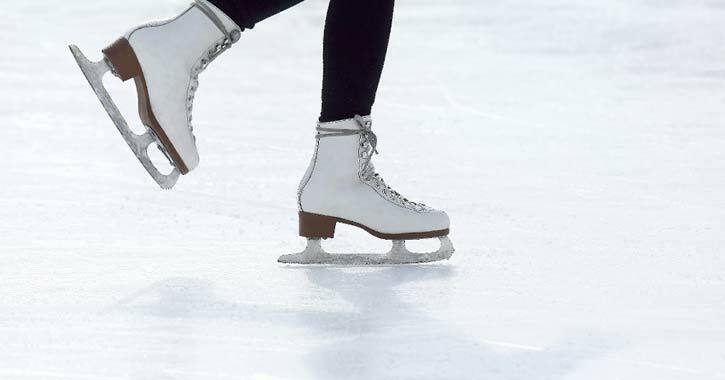 There are several places to ice skate in the Saratoga area both indoors and outdoors. And if you're looking to play ice hockey, that is available as well. Attention fishing enthusiasts! 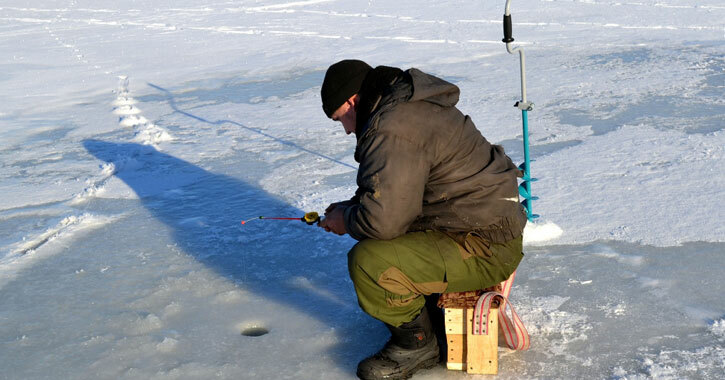 Saratoga Lake and Round Lake both offer prime ice fishing opportunities. Fish species you might find at Saratoga Lake include: largemouth bass, smallmouth bass, yellow perch, brown bullhead, northern pike, redbreast sunfish, rock bass, walleye, black crappie, bluegill, chain pickerel, and pumpkinseed. Round Lake is reported to have largemouth bass, smallmouth bass, yellow perch, brown bullhead, northern pike, tiger muskellunge, bluegill, common carp, black crappie, and pumpkinseed. Please note: Both Saratoga Lake and Round Lake have public and private waters. It's the angler's responsibility to obtain the necessary permissions before fishing these waters. 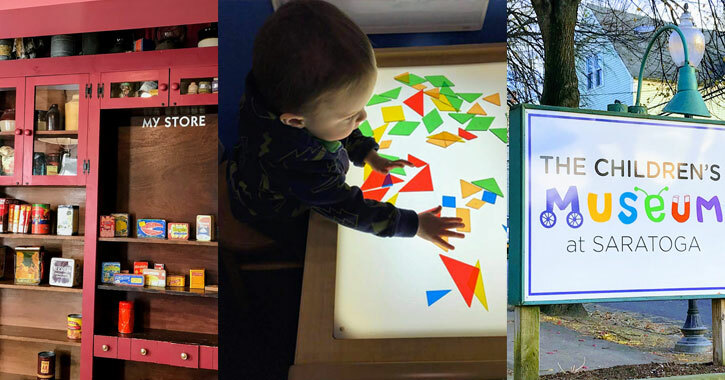 If you've got kids, you must carve out some time to bring them by the Children's Museum at Saratoga. They have tons of interactive exhibits exploring science, history, community living, and the arts. No kids? Check out the Frances Young Tang Teaching Museum and Art Gallery for stunning visual art or the National Museum of Racing and Hall of Fame to learn more about the fascinating history of horse racing in the Spa City. For a unique experience, stop by the National Bottle Museum in Ballston Spa to see thousands of glass bottles and learn about the history of the glass bottle industry in Saratoga County. If you're looking for some indoor fun this season, stop by Saratoga breweries, wineries, or distilleries and taste what our local craft beverage scene has to offer. 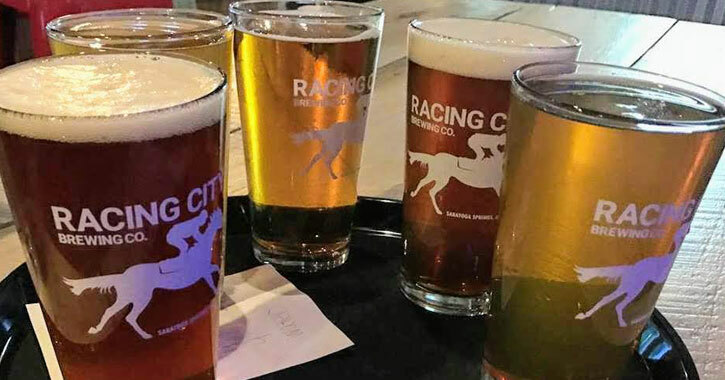 You can find both delicious beer and fine wine at the Racing City Brewing Company With Olivia Winery, who always has a rotating selection of beer and wine made on-site, and at Saratoga Winery. Saratoga Winery is known for their wine, but they have craft beers and wood fired pizza as well. There is also Schmaltz Brewing Company in nearby Clifton Park, which is an award-winning brewery whose beers are distributed in 37 states. From comedy shows to murder mysteries to plays, there's always an engaging performance going on at the Home Made Theater! 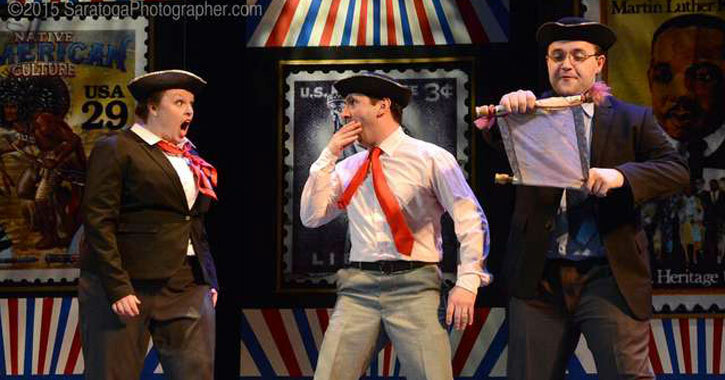 Located right in Saratoga Spa State Park, this nonprofit theater company aims to provide high quality productions at affordable prices. For January and February of 2019 they're putting on a Benefit Murder Mystery show, and performances of The Mousetrap, based on the Agatha Christie classic. Plan your winter getaway around one or more of these annual events, or, if you already have your dates set in stone, see what's going on when you'll be in town. You can also always check out the full events calendar for more fun happening. 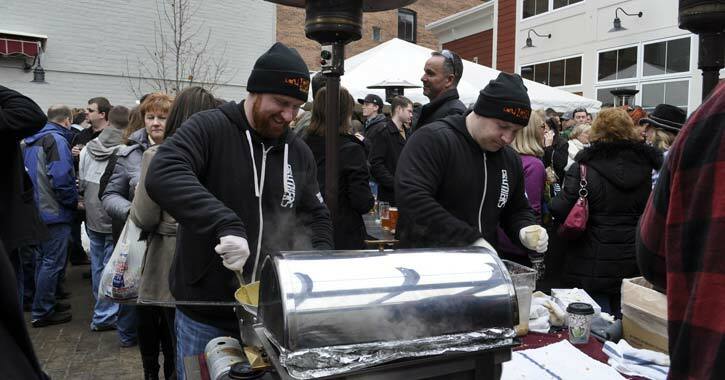 Over 35,000 people braved the cold in 2018 to attend the Saratoga Chowderfest. This year the popular festival is happening on February 2nd, with a whopping 78 restaurants participating. Local eateries serve up their best chowder and the public taste tests and votes on their favorite. There is always a wide variety of delicious and unique chowders available. Some from last year were: Cajun Seafood Chowder, Beer Cheese Kielbasa Chowder, and Spicy Chicken Chowder, to name a few. If you're a hockey fan, this is a major tournament to watch or even join in on. 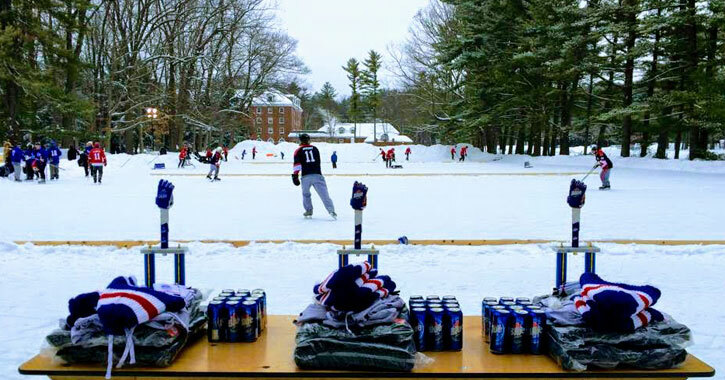 Hockey games take place over three days in Saratoga Spa State Park, and for 2019 there will be entertainment on Friday and Saturday from DJ Supreme and The Refrigerators respectively. DJ Supreme is an accomplished professional from Hot 99.1FM, and The Refrigerators are a well-known local band with 20 years of experience who always deliver a high-energy show. Check out the Saratoga Frozen Springs Classic this year from February 8th to the 10th. Wilton Wildlife Preserve & Park in Gansevoort has over 20 miles of hiking trails, year-round educational programs, and it's one of only a couple preserves in the Capital Region that serves as a haven for the federally endangered Karner blue butterfly. But, this isn't just a place to enjoy in the summer - their annual Winterfest is worth checking out! 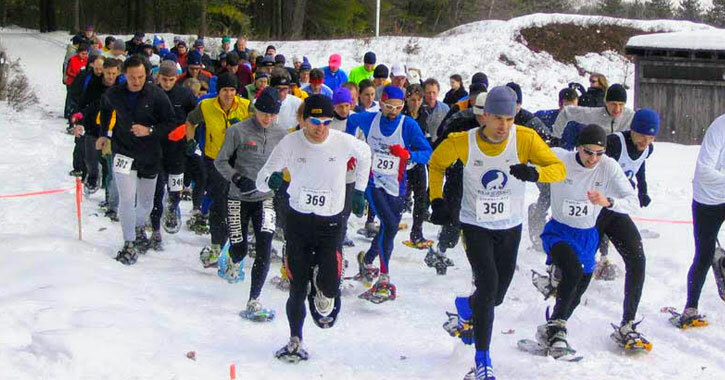 Winterfest, happening on February 9th for 2019, is a full day of outdoor fun that kicks off with an 8K snowshoe race. There will also be a bonfire, s'mores, hot cocoa, and more. Snowshoes and cross-country skis are available to rent for just $5. Whether you're a seasoned dancer or you haven't hit the dance floor since prom night, the annual Flurry Festival is an incredible event to get your groove on. The three-day Flurry Festival includes: workshops, concerts, performances, family events, storytelling, singing, and more. 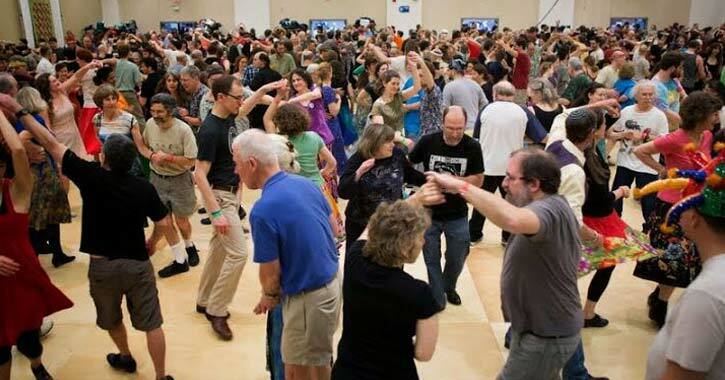 Last year the event featured dances and workshops on square dancing, swing dancing, Cajun dancing, and nearly any type of dancing you can imagine. The 2019 Flurry Festival is taking place February 15th to the 17th at the Saratoga Springs City Center and the Saratoga Hilton. If you're the sort of person who's always working on a home improvement project, gets giddy over new home organizational techniques, and can always be found in your garden come spring, this is the event for you. 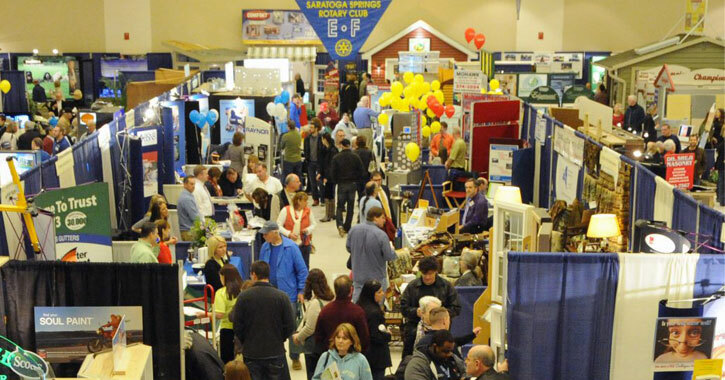 The Saratoga Springs Rotary Club Home & Lifestyle Show features 120 exhibitors showcasing everything from household organization to decor to food and wellness to outdoor living and gardens. And, there's much more going on besides checking out the vendors - a tool demonstration and Q&A session, a fine arts and crafts show, and door prizes, to name a few. There's even a Mac n' Cheese Bake Off! This year the Home & Lifestyle Show is taking place March 1st through the 3rd at the Saratoga Springs City Center. The Saratoga Performing Arts Center (SPAC) is a leading performing arts venue in the area, but they do more than just provide us with amazing concerts and shows. 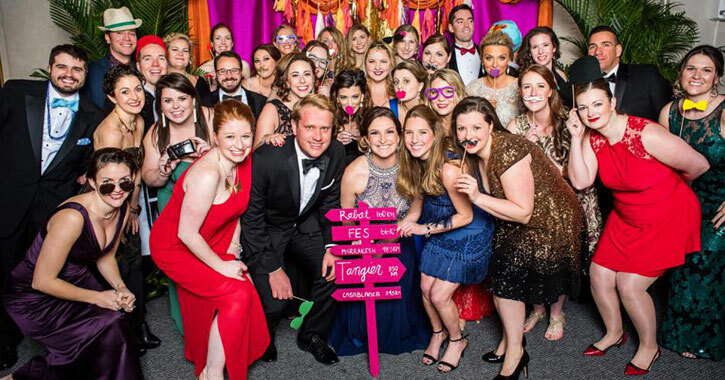 They also offer free education programs and engage in youth education initiatives, and you can support this great cause by attending the Winter Ball 2019: Into the Pines on March 9th at the Hall of Springs. The event includes: live music from Grand Central Station, catering by the renowned Mazzone Hospitality, an open bar, and raffle prizes. Come out for lively music and great times for a worthwhile cause. This article is sponsored by Saratoga County Tourism. Note: The opinions expressed in this article are those of the authors. They do not necessarily reflect the opinions or view of Saratoga County Tourism or its members.